Early Bird Special: Purchase images in this gallery before September 30, 2015 and receive a discount on orders £20 or more 10% off. The photos are ABSOLUTELY stunning and I can’t believe you have them all on line already! (You must have been up all night editing -thank you!!) Please can you pass on our thanks to David. He has done an incredible job! The photos are just magical & capture the day so perfectly! 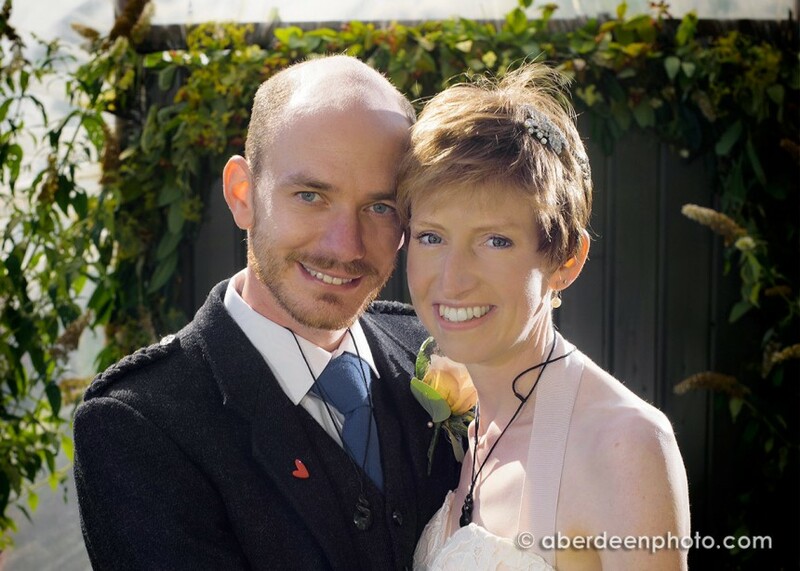 I’m the Euan (Ailsa’s sister’s fiance) who initially spoke to you to about getting a photographer for the wedding. I just wanted to email you to thank your team for everything that you did for the family. David was fantastic throughout the day and the end results are perfect. We still can’t believe you managed to get everything back to us the day after the event – you guys went above and beyond what we could have hoped for. A note to say a huge Thank-You !! for your outstanding photos but more so for hard work and extreme extra effort to make our day even more perfect and capture it so magically! You both gave way above and beyond and we so so appreciate it ! So thank you for your kindness in making it come together so smoothly at such short notice ! A huge thank you to David for the mesmerising images ! You really did capture the essence of the day and my goodness your photos are truly, truly stunning !! Than you also for staying that bit longer, the ceilidh and evening sky shots are fantastic ! 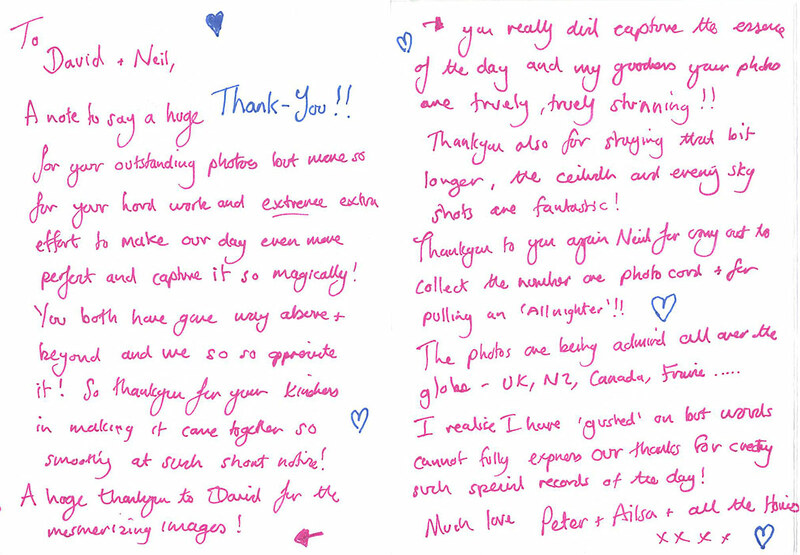 Thank you to you again Neil for coming out to collect the number one photo card and for pulling an ‘all nighter’ !! The photos are being admired all over the globe – UK, NZ, Canada, France …. I realise I have ‘gushed’ on but words cannot fully express our thanks for creating such special records of the day!